Hafiz Saeed inaugurated several offices in Lahore and canvassed for the candidates of Milli Muslim League (MML) contesting the elections, which are scheduled for July 25. As former Prime Minister of Pakistan, Nawaz Sharif, sits behind bars, Mumbai terror attack mastermind and Lashkar-e-Taiba terror outfit chief Hafiz Saeed openly campaigns for the country's forthcoming general elections. On his arrival at Iqbal Town in a huge caravan comprising motorcycles, jeeps and trucks, he received a rousing welcome from the people who showered rose petals on him. Surprisingly, while Nawaz Sharif and his daughter, Maryam, have been sent to jail on corruption charges, a designated terrorist, Hafiz Mohammed Saeed, is not only free but actively seeks votes for the elections, while targeting India and the United States. 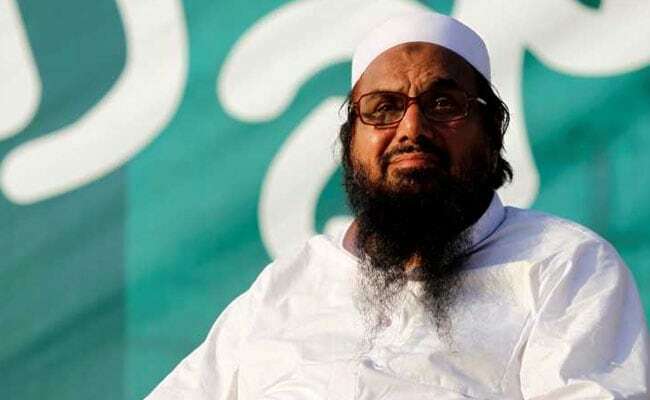 Hafiz Saeed's son, son-in-law and 13 women are among 265 Jamaat-ud-Dawa (JuD) candidates contesting on Allaha-u-Akbar Tehreek (AAT) platform on national and provincial assemblies seats across Pakistan. Hafiz Saeed, who also carries a bounty of USD 10 million on his head for his role in terror activities, is himself not contesting the election. While addressing his supporters, Saeed praised the audience for their support to MML. He said, "MML will make Pakistan country of Allama Iqbal and Quaid-e-Azam Mohd Ali Jinnah. This black chapter will be coming to an end now and world will see new enlightened chapter." Other senior leaders of JuD also addressed the meetings. Mohammad Yaqub Sheikh, candidate of NA-125 in his speech stated that Hafiz Mohammad Saeed fielded MML candidates for revival of the ideology of Pakistan, service to humanity, freedom of Kashmir and the challenges being faced by Pakistan. Sheikh also stated that the MML candidates were selected on the basis of honesty and righteousness. He asked people to vote for MML.